Hello Sydney, yet again there is a great line up of the top activities and events we can attend to see out the second month of Spring. Speaking of the great weather we are currently experiencing most days at the moment, October is tipped to be glorious weather wise as well. Following on from the top events in September, I now have hand picked the top events that our city gets to enjoy for October 2012.
Who doesn't? Great food is here for us to enjoy, and eating out has never been so affordable. You're in luck for the entire month as the Crave Sydney International Food Festival comes back for yet another year. The night noodle markets at Hyde Park will delight and entertain us. Sydney is right up there with Melbourne and Adelaide when it comes to the culinary and food scene. Furthermore, Pyrmont will also be home to the the National Stroke Foundations signature event, Food for Thought. Some of Sydney's best chefs will host a seven-course degustation dinner. Hosted by Michael Moore and held at Doltone House on the 4th of October 2012. Other top food events in Sydney for October 2012 include Food n Groove in Rockdale, as well as The High Tea Party at the Four Seasons Hotel on George Street. Being a Sydney based food writer, I am also looking forward to also checking out the 2012 Strathfield Food Festival as well as checking out the top produce on North Street as part of the 2012 Norton Street Italian Festa. Not Quite Cabaret is on in Balmain. To put it simply, this is pub entertainment with a twist, and the Exchange Hotel is no ordinary pub. Be prepared to laugh like you have never laughed before. 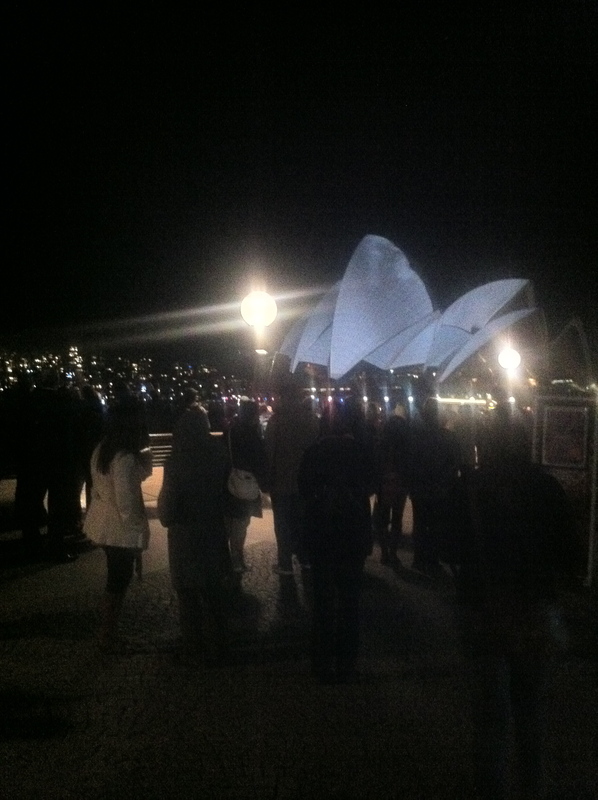 For more laughter in your life this month, the Just For Laughs 2012 comedy festival is on at the Sydney Opera House. Further information on this event can be found by clicking here. Can't resist those dancing shoes? Well you're in luck, especially if you want to dance to the beats of fast paced Latin dancing. Welcome to the Darling Harbour Fiesta. This event is sure to be popular. Grand Designs Live will be held at Darling Harbour from the 5th to the 7th of October at the Sydney Convention and Exhibition Centre. The best of four different home shows in one where some quality home decorating advice is on show. The key areas are buildings, interiors, kitchens and bathrooms. Outdoor home decorating tips are also provided with over 220 exhibitors under one roof. The Splash Festival is on for a day at the Sydney International Aquatic Centre at Homebush Bay. A fun, family day out for the school holidays. Giant pool inflatables will be available with an amazing giant Coke Slide. There are also giant Crocodile Inflatables for the little ones. Free entertainment is also provided. Further information on this event can be found by clicking here. Sydney's biggest pool party, hooray. It might feel like you're on It's a Knockout, well maybe. I Loved the 18th Biennale, is there anything else on at Cockatoo Island? The Cockatoo Island Film Festival is on from the 24th to the 28th of October. Other top event line ups in Sydney for the month of October 2012 include the Sydney Blues and Roots Festival. Other top music events include the Surry Hills Festival, on the 27th of October 2012. Amazing Sydney, we have an amazing October for 2012. Happy partying and living life out loud.